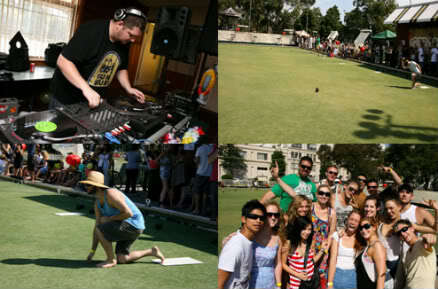 The Collective Sydney began GREEN BEATS back in September of 2005, in a desperate attempt to save The Petersham Bowling Club from immediate closure. The club was insolvent and a council Development Application was before the council attempting to turn this beautiful and historic club into distasteful ‘Mediterranean style’ apartments. As avid lawn bowlers (on Sundays at least) The Collective could not let this happen, and decided to take matters into their own hands. We were lucky enough to put on 13 highly successful monthly events over 2 summers, where every dollar that was garnered through ticket sales and the substantial bar sales was given directly to the Petersham Bowling Club. The Club still stands proud today due to the support of Green Beats attendees at that crucial time, with each event generating enough revenue in one day to keep the club trading for another month. 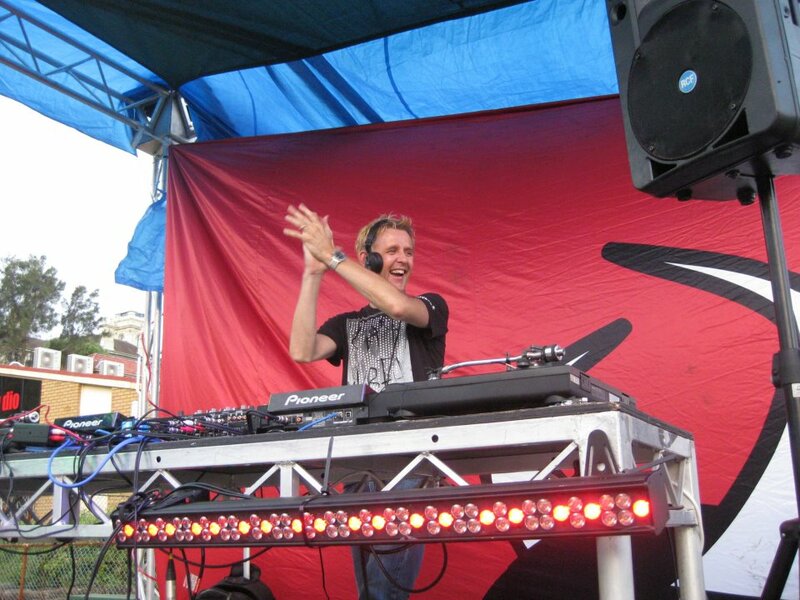 After facing noise complaints from local residents and subsequently unreasonable restrictions on running times by the club’s board, Green Beats took to the road moving to the wide open spaces of Brighton le Sands Bowling Club for Australia Day 2008, where hundreds enjoyed a perfect summer day, and a multi-stage event featuring Mark Pritchard, Jimmy Sing, Typhonic, Garage Pressure, Jennifer Stealth, Prize, and many others! In Summer 2008/09 Green Beats relocated to Marrickville Bowling Club for a number of successful monthly events, but unfortunately our large crowd of over 300 people dancing like nobody was watching all over the competition green in the twilight to Farj from Garage Pressure (what a moment!) got the members in a bit of a tizzy, and we had to find another more suitable venue. 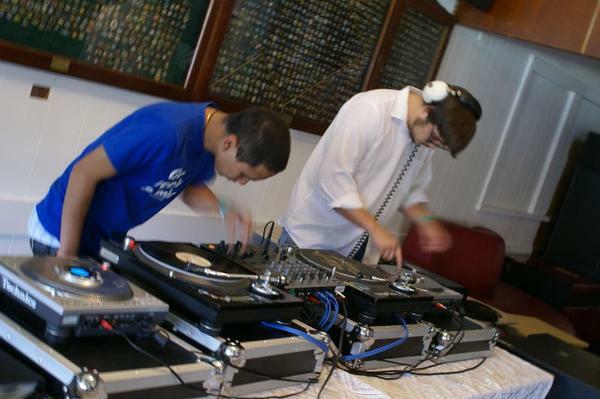 In 2010, Green Beats was welcomed to the Camperdown Bowling Club! Green Beats Australia Day 2010 was a massive party, with over 400 people enjoying the bowls, Flying Taco Mexican Food and diverse music from local favourites Rephrase, Farj, Foreign Dub, Bentley, Altay Altin, Renegade Dub Rescue, Alistair, Paulblackout & The Collective DJs on a steaming hot Sydney summer day. 2012 saw the inaugural event at the COOGEE BOWLO! The lineup was the biggest yet with Peewee Ferris, Mailer Daemon, Smokin’ Joe Mekhael, Tyson Koh, Kate Doherty, Tactical Aspect, Discoloop, Foreign Dub DJs, Sunday Dub Club DJs, and the Collective DJs! Africa Hitech was scheduled to play, but a miscommunication between the club and the police meant the party was shut down early. As an act of goodwill we put on Africa Hitech in a park. For Free. That was a fun day! 2013 was the second installment of Green Beats to be held at the Coogee Bowlo, with another massive day enjoyed by approximately 600 people! Featured on the incredible lineup was Katalyst, Balkansky, The Finger Prince, The Liberators, Frenzie, Bec Paton, Lok Stok, Inna Riddim DJs, Sunday Dub Club DJs and the Collective DJs. The Collective Sydney are always dreaming, hoping, and planning for the return of Green Beats… You’ll just need to like us on Facebook and keep your eyes on this page to stay up to date with any future plans!